This week there are a ton of new things for React.js users to learn. Rajat S released an excellent series of articles including how to "Build Awesome Forms In React Using Redux-Form" and "Build Your Own Blog Using Gatsby and React." Finally if you are interested in "Building a Shared UI Component Library" that people will love and use, you should definitely check out Jonathan Saring's article. With the recent release of the Progressive Web Apps core guides on MDN, it's easier than ever to make your website look and feel as responsive as native on mobile devices. But how about games? YoYo. This article is for people who are bored doing trivial tasks every day. This might cheer you up a bit. You might also encounter these kind of questions in some interviews. .Soooo, here is the first one - Imagine we have a string which is a math expression (e.g. (1+(2*3-2))+3). I know that sounds like an awful boy band from the 90's, but the truth is that it's one of the most anticipated new features of ES2017. As a reminder, one can already use it with Babel. It's quite new, so much so that it's not even in Node 8-and we won't mention browser support. I've said this before, but for real, I'm starting a newsletter! One-topic covered in-depth each week, plus a bunch of links on the latest in frontend development topics. Sign up here! TypeScript 2.9 introduces the import() types feature. Don't confuse it with the dynamic import() syntax. This new feature doesn't async import modules. Lately, I've been trying to understand how, when, and where to use a store-based state management approach like NgRx Store (or Redux, or MobX, etc). I'm currently 75% of the way through Todd Motto's NgRx Store course; and, I've recently raved about Angular University's article, NgRx Store - An Architecture's Guide. Sharing is caring!0sharesTwitterFacebook0One of my first post was about creating a library for angular (note the feature image that shows a most recent library 🙂 ) . It was quite tricky as you had to create a couple of script to make everything working correctly. Jeff Smith introduces a number of Angular plugins for Sublime Text that help make your Angular development efforts in Sublime a success. Modern web browsers provide developer consoles to inspect various elements on the page, which is really handy when trying to debug markup, styles, and scripts. However, this console isn't enough to debug Angular applications that usually have lots of components, events, attributes, and a separate routing system. Dynamic frameworks like Angular often call for modern user experiences. There are plenty of scenarios for this but one common question I have seen across forums such as reddit or stack overflow is "How to focus on a form element on click in angular 2+?" There are 2 way that we can use to manage validation in redux-form. They are: Using Validation Function Next, I have listed out a couple of error scenarios, and what I want redux-form to do when such a scenario occurs. When people want to learn something new, especially a new programming language/framework/library, they usually go to these three places: Being a software developer trainee myself, I know firsthand how much time one spends in searching the internet looking for answers to their questions. Instagram has a cool feature when you are looking at the grid view. When you press and hold on any of the images it will show you a quick view. While still holding you can move your finger to multiple actions. These actions include like, share, and comment. It's been two years time that I've met React and immediately fell in love with it. The way that React works, as a declarative, not-so-large library created exclusively to build rich User Interfaces provides everything as necessary (plus a rich ecosystem with tons of add-ons). I used create-react-app starter kit to setup my project and later added the 3 components. I won't be mentioning any style specific codes and some helper functions for the sake of keeping the post as short as possible. 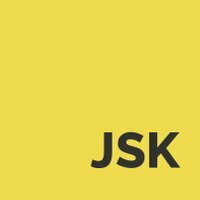 Years ago when Facebook announced their JSX syntax we had a wave of comments how this was against some of the well established good practices. The main point of most people was that it violates the separation of concerns. Vue.js is a framework for building web applications. It has a reactivity system that allows you to model and manage your application state such that when data changes, it's reflected in the UI, without you having to query the DOM. In the previous article we learned how to create our own custom Node.js modules and how to use them. The complete code for the previous article can be found on the Github repository Learn Node.js With Sabuj . You will also find all the code in the same repository. In this article, we learn how to watch for file changes in Node.js (and take action when those file changes occur) using a real IoT project as a learning context. We explore a few techniques for watching files and ultimately arrive at the best solution. If you have been using Node.js for sometime, you should know that it is single threaded. This is why you can't take full advantage of multiple core machines unless you use the cluster module or a process manager like PM2. I'm working on an application that used the cluster module for managing processes. Reusable components are a great way to build a performant and consistent UI for your applications, without having to reinvent the wheel. Components can save time, speed your development, simplify maintenance, help standardize your stack, and keep a consistent UI design system. A common questions is, what's the best way to construct and manage these components. Michael Wanyoike shows how to create Angular 5 snippets and how to use them in Visual Studio Code to supercharge your Angular project workflow. Express.js is a Node.js web framework that has gained immense popularity due to its simplicity. It has easy-to-use routing and simple support for view engines, putting it far ahead of the basic Node HTTP server. However, starting a new Express application requires a certain amount of boilerplate code: starting a new server instance, configuring a view engine, setting up error handling. In April I became the maintainer of Saka, a browser extension that allows users to search through their tabs, bookmarks and history. The original goal of Saka was to provide an elegant tab search but this soon evolved to include recently closed tabs, bookmarks and history when the original maintainer eejdoowad recognized that users search for tabs the same way they search bookmarks and history. Diving into functions. Passing by reference is a lie! In this first of two articles on static sites, I will share with you how you can speed up your build process on Netlify with a custom caching layer. The second article will go into the implementation of incremental builds using Nuxt.js. We've looked before at how to capture a user's screen in Chrome and Firefox. Good news, another browser has support now, Microsoft's Edge. Let's see how we can capture the screen with Edge. I'm writing it because it seems to be rather popular task that has not any well known common solution. Usually it all starts with some surprisingly strange `simple` solution that by the end transforms to the system I'm going to write about. That's all for this week. Enjoy the reading!